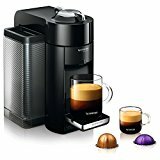 Which Nespresso Capsules Are Best For Latte? Which Color Are Nespresso Decaf Capsules? … And More Questions Answered! 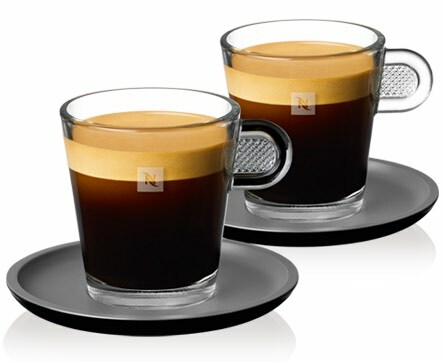 Nespresso Evoluo vs. VertuoLine: What’s The Difference Between Them? 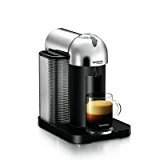 What Is The Difference Between Nespresso VertuoLine vs. Evoluo? Evoluo vs. Evoluo Deluxe, What’s The Difference? 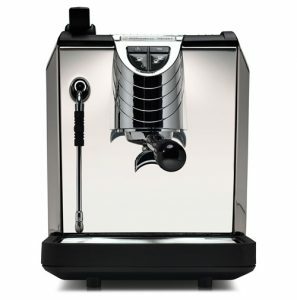 Nespresso Inissia vs. Evoluo, What’s The Difference? 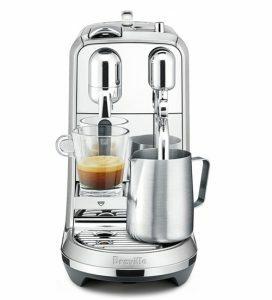 When Nespresso first came with its VertuoLine machine, their first machine that makes both espresso and coffee, loyal Nespresso fans were finally happy they can get all their favorite drinks from one machine. 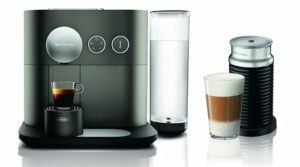 Now, there’s even more to be excited about as Nespresso has just rolled out the second generation of the VertuoLine, Evoluo and Evoluo Delxue. This post talks about the VertuoLine Evoluo and how it’s different than the first gen VertuoLine. We’ll also talk about the difference between the Evoluo vs. Evoluo Deluxe. Don’t have time to read? Click here to jump to the sum-up. 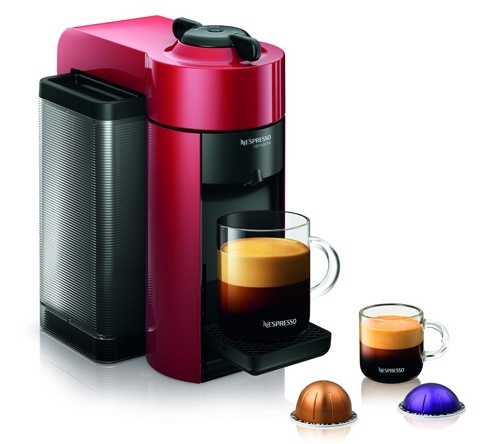 Nespresso VertuoLine Evoluo brews authentic espresso and coffee with a touch of a button. 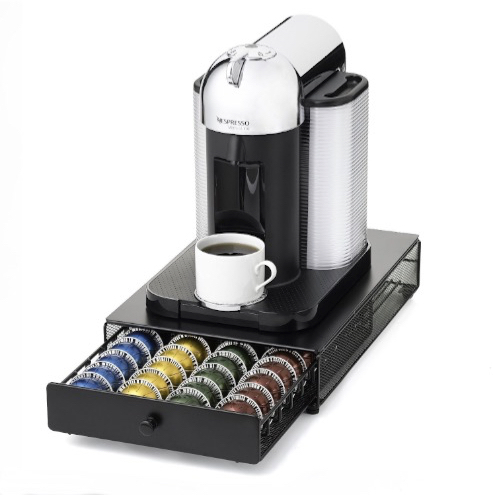 Uses Centrifusion technology that spins each capsule rapidly to evenly extract the coffee. Equipped with laser technology that reads the bar code on each capsule for automatic adjustment of water level and temperature. Fast pre-heat time of 15 to 20 seconds. Water tank with 40 oz capacity. Used capsule drawer holds up to 13 capsules. Drip tray can be adjusted to 5 positions, allowing it to fit cups of different sizes. Available in three colors: Cherry red, black or grey. 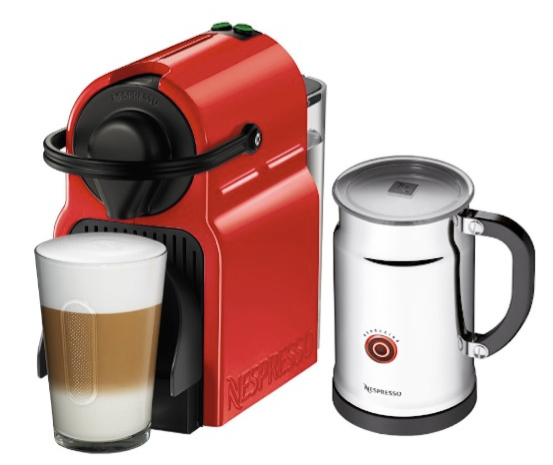 Available individually or bundled with Aeroccino electric milk frother. 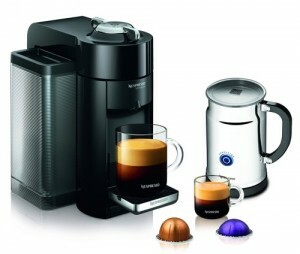 Compatible with Nespresso VertuoLine Capsules only. Your purchase will include a welcome pack that includes one of each capsule available. Dimensions: 11.9" x 8.3" x 11.9"
Centrifusion technology works by spinning the capsule around 7,000 spins per minute. 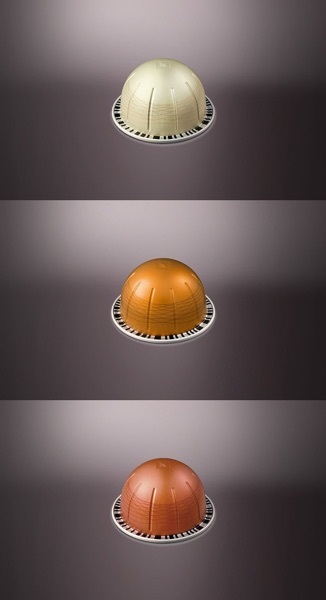 This ensure an even extraction of each capsule and the most flavorful cup of coffee. Automatic capsule recognition means that you’ll get the best tasting cup every time. 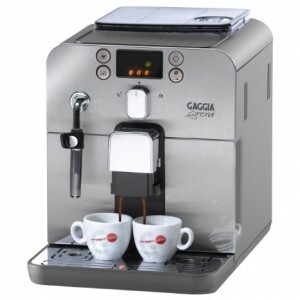 When you put in a capsule, the machine is programmed to know which capsule you’ve inserted and it automatically adjusts itself to brew it to the correct size and temperature. The only thing you have to do is push a button and leave the rest to your machine. One of the few complaints about the first VertuoLine machine was that the coffee wasn’t hot enough for some people’s tastes. 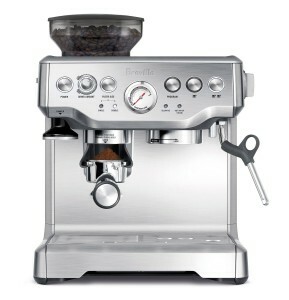 The Evoluo fixes this issue by brewing the coffee at a hotter temperature than the VertuoLine. There’s an overall change of design between the VertuoLine and Evoluo. 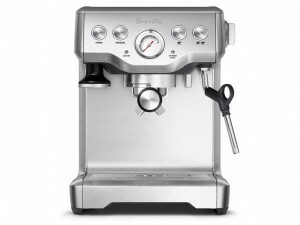 The VertuoLine had a rounded head in polished chrome while the Evoluo sports muted colors. The drip tray on the Evoluo can now be adjusted to 5 different positions while the VertuoLine could be adjusted to only 2 positions. This means the Evoluo can fit more cup sizes. 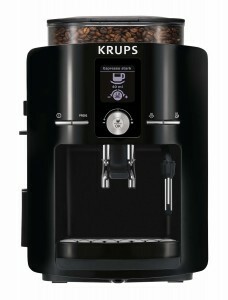 Tank and Capsule drawer capacity remain the same at 40 oz and 13 capsules. If you need more information about the Nespresso VertuoLine, click here to read our post about it. Our second comparison is between the Evoluo models: what’s the difference between Evoluo and Evoluo Deluxe? The Evoluo has 40 oz water tank capacity and 13 capsules capacity in used capsule drawer. The Evoluo Deluxe has 50 oz capacity and 17 capsules capacity in used capsule drawer. 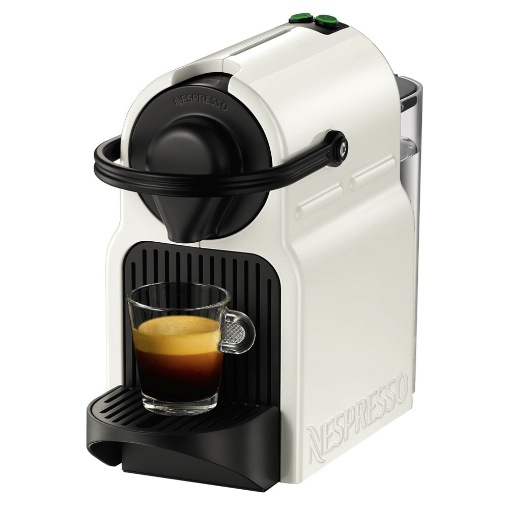 Also, the Evoluo Deluxe is available as a bundle with Nesprseso Aeroccino Plus. You can read our dedicated comparison post here. 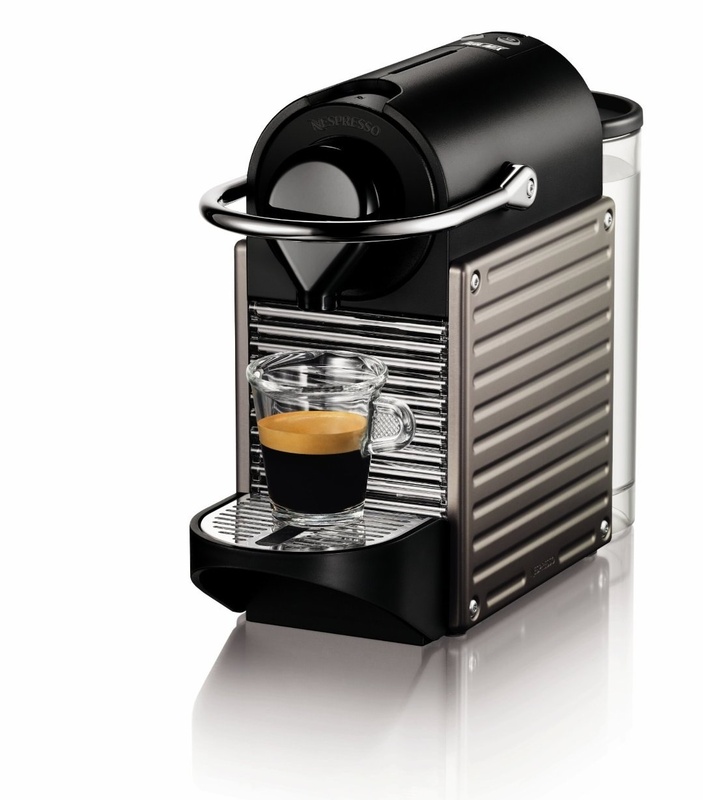 Click here to learn more about Nespresso Evoluo Deluxe, read the customer reviews and buy it. Evoluo and Evoluo Deluxe are the second generation of VertuoLine machine. 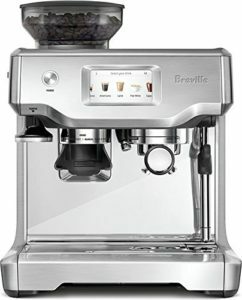 At the core, they’re the same as VertuoLine but can brew hotter coffee and fit more cup sizes. 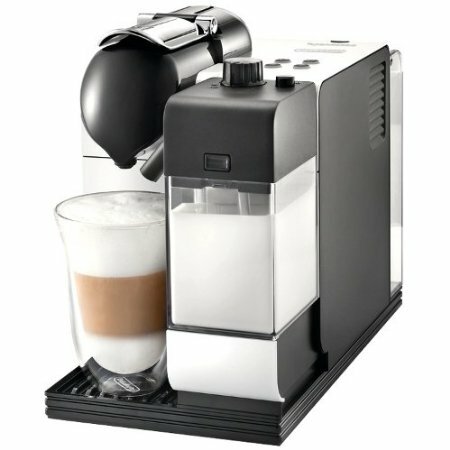 Evoluo Deluxe has a larger water tank and used capsule drawer, and has the option to be bundled with an Aeroccino milk frother. For buying info, click here. 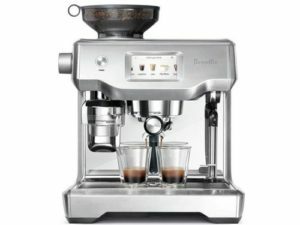 Inissia is an Espresso machine. It’s part of Nespresso’s OriginalLine machines that make Espresso and Lungo as well as espresso based drinks like Cappuccino or Latte, if you pair it with a milk frother. 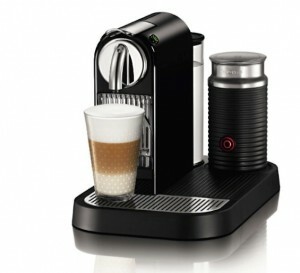 Evoluo, on the other hand, uses VertuoLine capsules and can make Espresso, Coffee and Espresso based drinks, too. 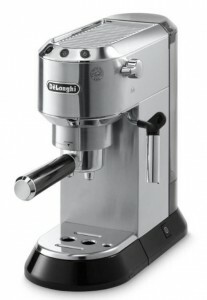 Inissia works similar to a classic espresso machine. 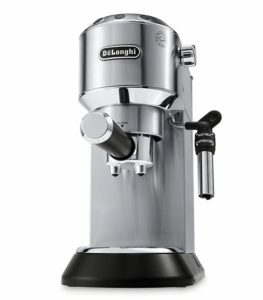 It uses a 19-bar pump to produce espresso. 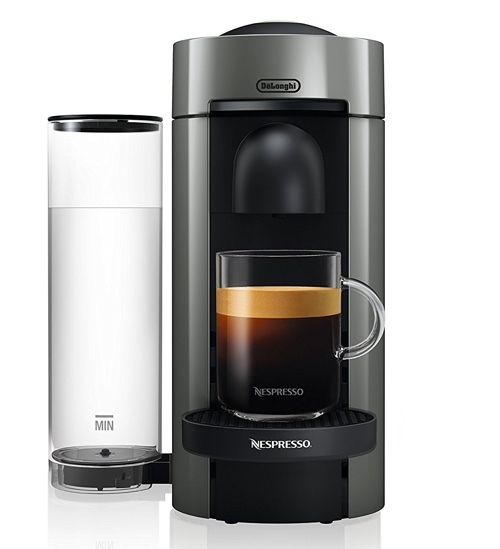 Evoluo utilizes Nespresso’s new technology called CentriFusion, which rapidly spins the capsule (7,000 spins per minute) for full saturation and flavor extraction. Due to the difference in process, their coffee results is slightly different. 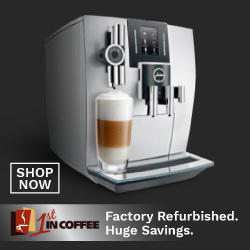 Since Inissia is an OriginalLine machine, you have the option to buy Nespresso capsules, Nespresso compatible capsules (from other brands) and refillable capsules. 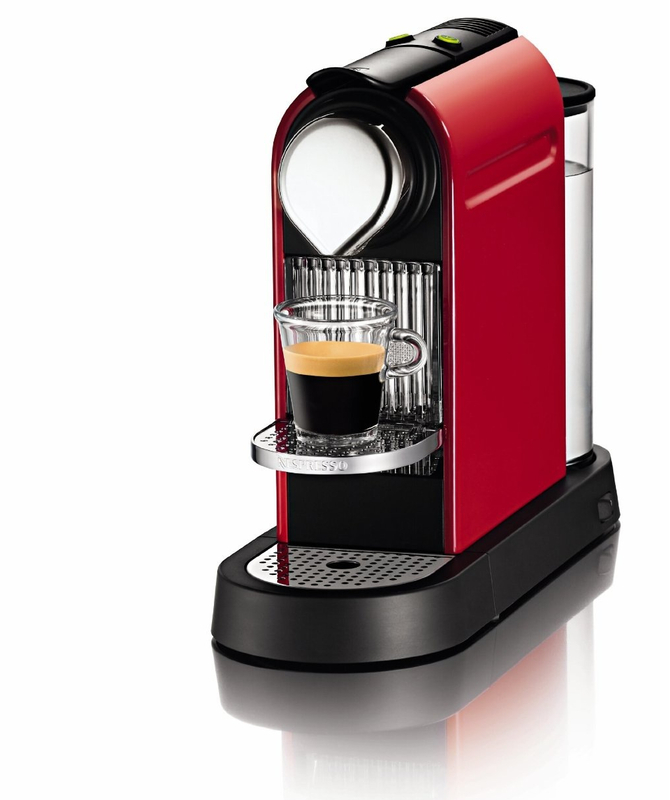 With Evoluo, you only get to use Nespresso branded capsules. These are the main differences. Other slight differences would include the design and controls. 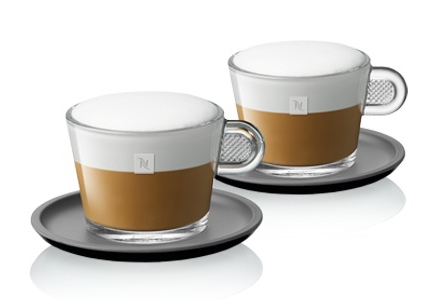 You can read the details of Nespresso Inissia here. 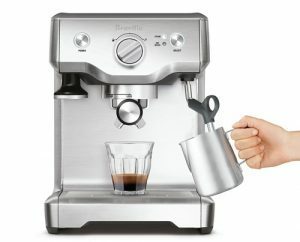 Also read about Inissia’s comparison with Essenza Mini, which is and even more compact machine from Nespresso. With the NIFTY drawer you can organize your VertuoLine pods/capsules neatly and always keep them at hand. This particular design can hold the machine on top of it, but there are a number of designs available, you can see them all here. Click here to learn more about the NIFTY VertuoLine Pod Organizer, read the customer reviews and buy it. 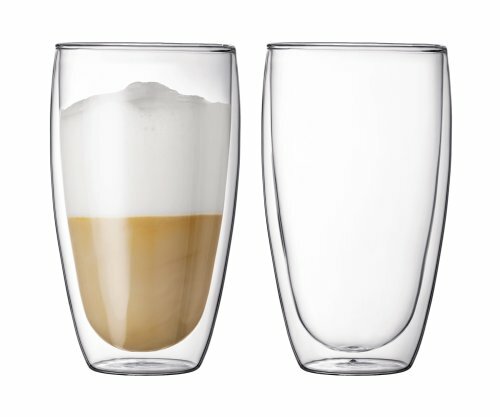 These Double wall glasses always make coffee drinks look impressive. The double-wall insulation keeps your coffee hot for a longer time, and because the outer surface is insulated from the inside, you’ll be able to hold the glass comfortably without feeling the heat from the coffee. 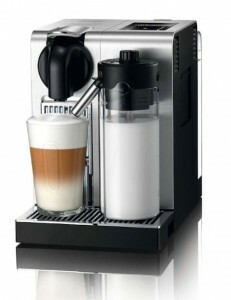 Available in different sizes from small espresso cups to large latte size. These versatile glasses work just as well for cold drinks. 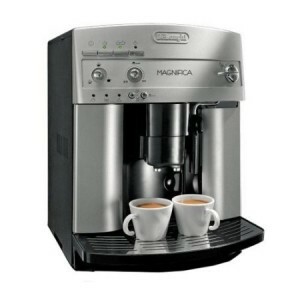 Click here to learn more about the Bodum Pavina, read the customer reviews and buy it. 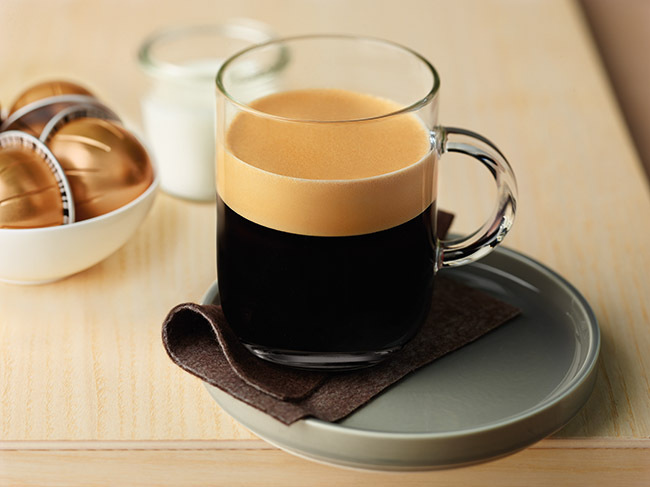 If you have a sweet tooth and love a flavored cup of coffee, you’ll love this VertuoLine capsules assortment that includes 3 flavors: Vanizio (Vanilla) Caramelizio (Caramel) and Hazelino (Hazelnut). The flavors in these capsules are subtle and not as overwhelming as when adding syrup flavors. 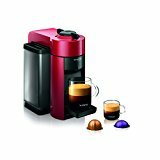 So you’ll be able to enjoy the actual taste of coffee with a delicate note of your favorite sweet flavor. Click here to learn more about the capsules assortment and buy it.